Dark Rising is a tower defense game which mixes the in depth features of real time strategy with the classic adventure of role playing games. 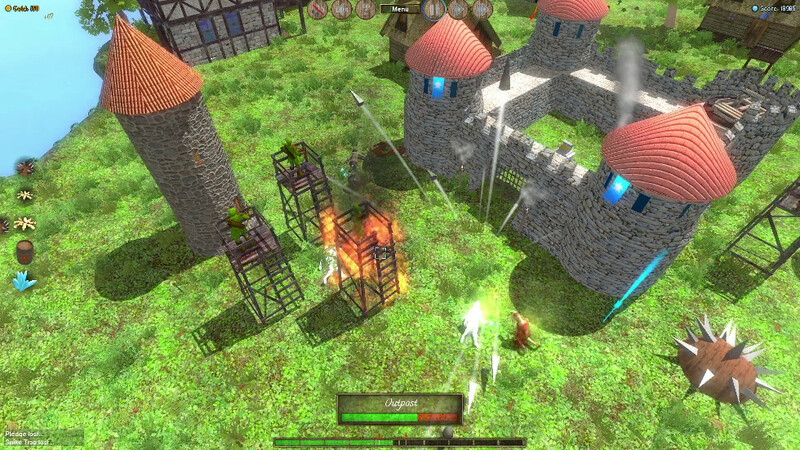 You must build towers, train soldiers, and equip them with the best weapons and armor to withstand the undead hoard. Every wave the enemy gain strength, only wise planning and the bravest soldiers can prevent this apocalypse. Coming soon to Steam, Gamejolt and Itch.io. Upgrade your castle, build towers, expand your village and train loyal pledges who will fight, and die at your command. Dark Rising is a tower defense game for anyone who's looking for a more in-depth approach to the popular genre.